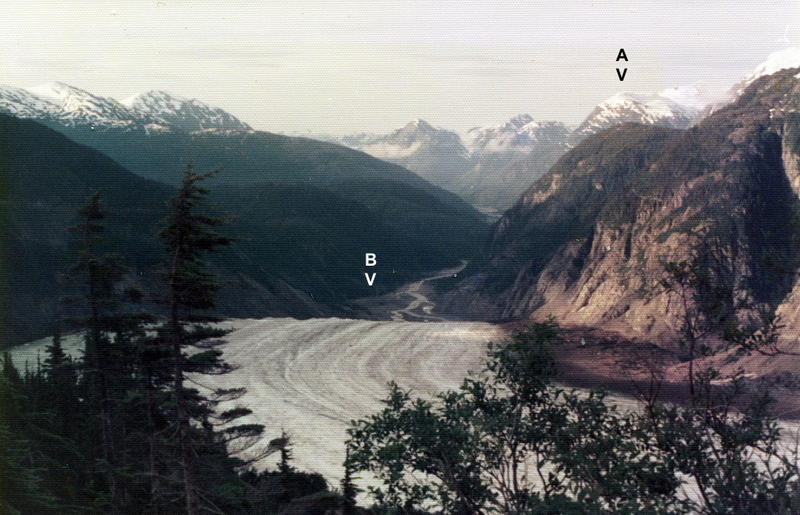 Photos of the Salmon Glacier as seen from the edge of what is generally called the Granduc Mine road in 1975 and 2015 show the dramatic retreat of this glacier. In 1975 I was working as the underground first aid attendant at the Granduc copper mine, so rode in a bus on that road to work each day. 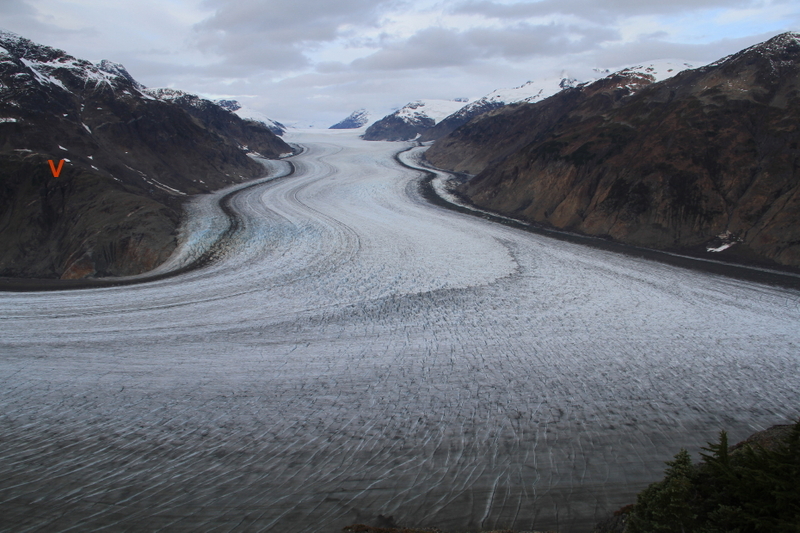 The first 2 photos show the main body of the glacier. 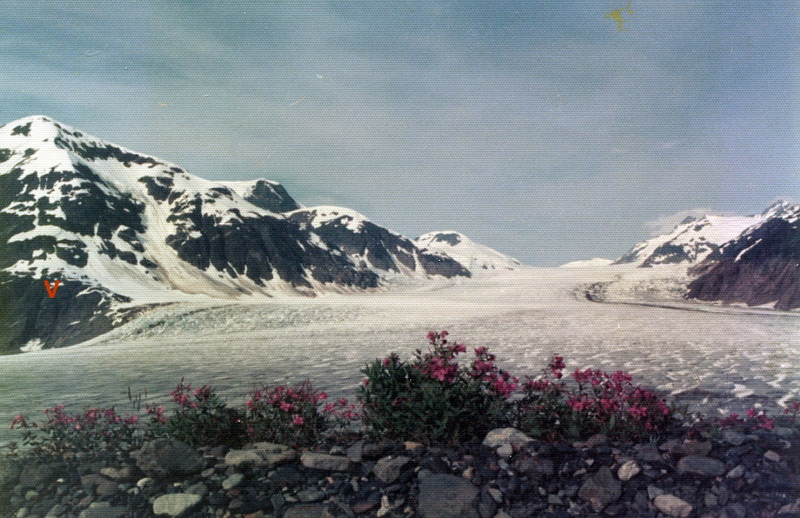 The photos are taken from different elevations, as the section of the 1975 Granduc Mine road above the glacier was later closed and a new road built several hundred feet higher. The red "V"s show a distinctive cliff to orient the views with. The last 2 photos show the valley of the Salmon River, much of which was filled with ice in 1975, while almost none was ice-filled 40 years later. 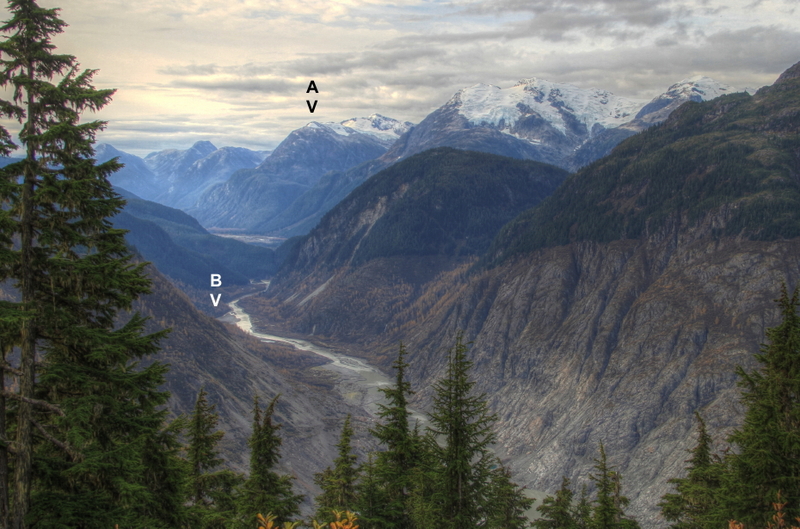 The "A"s and "B"s show a specific mountain and river bend to orient the views with. These photographs are © 1975-2015 by Murray Lundberg, and are not to be copied without express permission.